Here is a gig-flyer for the Odeon,canterbury concert from the 14th november,'78...not archived here yet. Well spotted DMXI, I have added it to the main site. Interesting that the flyer price and the ticket price are slightly different. the seller is an actual member here and promised to add his recollections of 5 jd concerts here soon. He even had a pint with the band,can't wait to hear/read that one. 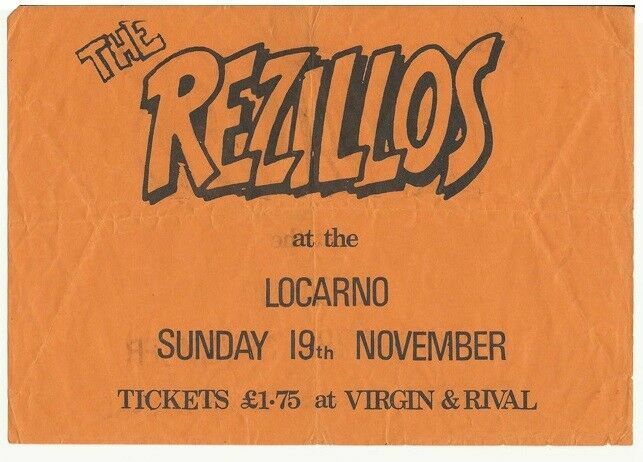 The seller sent me a pic of the cancelled locarno gig flyer,brilliant,with permission to use! Hi again, Don't know if it is of interest to you but I also have a very similar flyer for the Bristol gig a few days later. Rezillos didn't play Chelsea took their place, then the Undertones wouldn't let Joy Division play, have hated that band ever since. Be fair Gene October came out and said they were happy to knock15 minutes off their set to let Joy Division play but the Undertones wouldn't do it! So Gene took Joy Division and me and few other J.D fans across the road and brought us all a pint, lot more to tell about that night and will do this when I get the time and add it to the J.D web site. Regards, W****. -what was the pint like??? .....those memories are priceless and in dire need of being cemented here,imo.